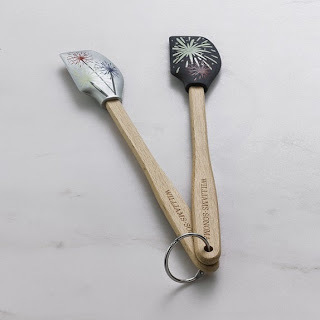 My 2014 July 4th All American RED WHITE & BLUE Picks from Williams -Sonoma for decorating, dining, eating, crafting and of course Fireworking! 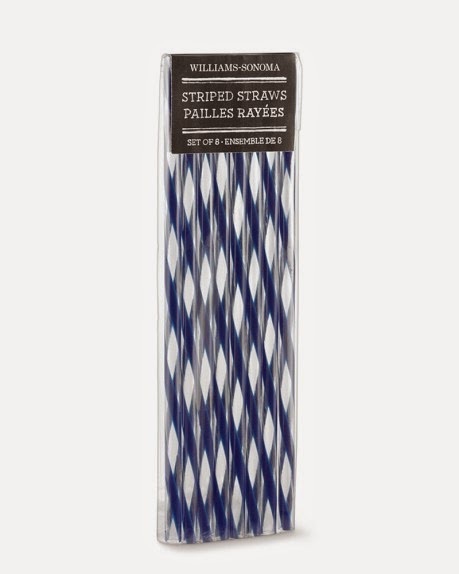 Ice cream lovers know how important it is to enjoy frosty treats right down to the last delicious drop—a given with our playful striped straws. 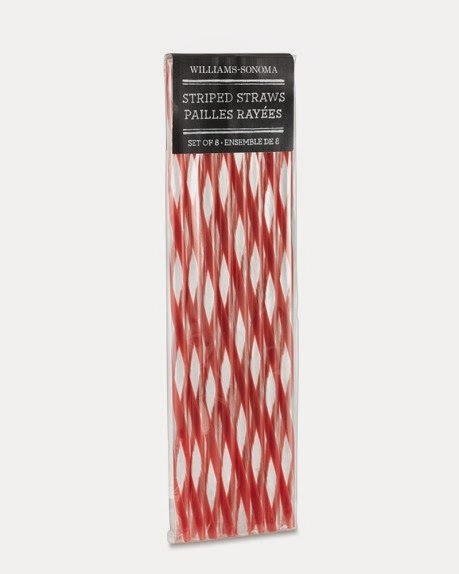 Perfect for parties and everyday fun, these sturdy, reusable straws are great for milkshakes, smoothies, sodas and other cool, refreshing beverages. 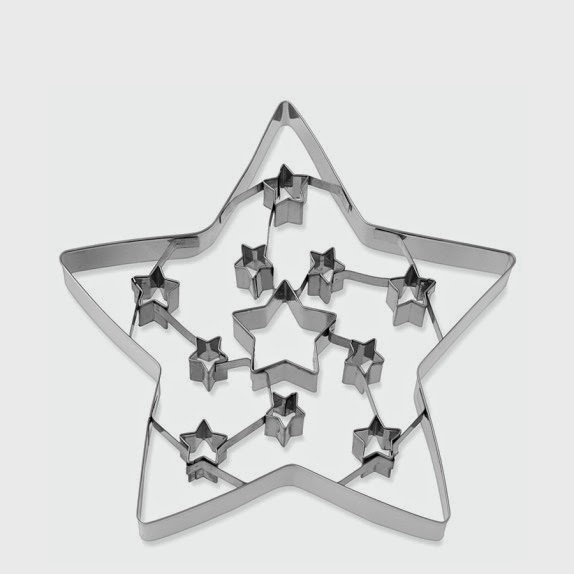 For a star-spangled Independence Day celebration, bake a patriotic constellation of star-shaped cookies using our clever cutter. 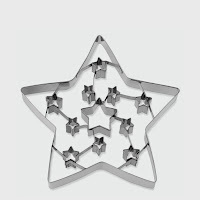 Designed with petite star cut-outs, the giant cutter turns out a spectacular cookie that's ready for decorating with shimmering sugar or colorful icing. 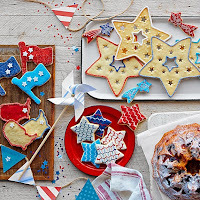 You can also bake the dough cut-outs to create miniature cookies, perfect for enjoying on their own or using as garnishes for ice cream. 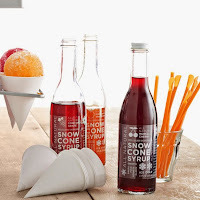 Chill out with super-cool snow cones drizzled with our sensational syrups. 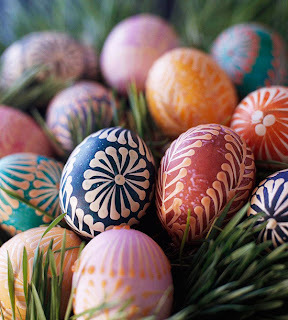 Blended from premium fruit-juice concentrates, they’re bursting with vibrant color and pure, all-natural flavors. 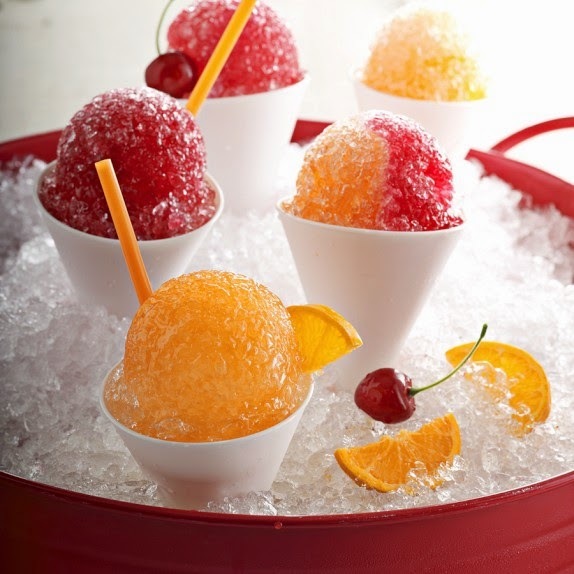 Savor them one at a time, or create a rainbow cone by combining them all on a single scoop of shaved ice. You can also mix the syrups with water (1 part syrup to 2 parts water) to make refreshing frozen ice pops. 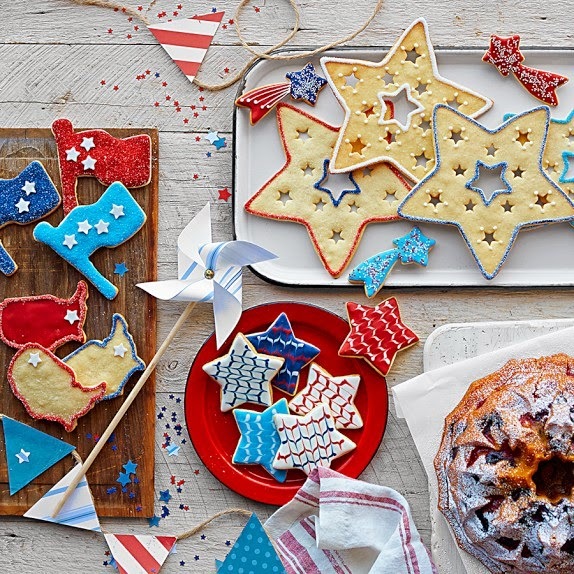 Hurray for the USA! 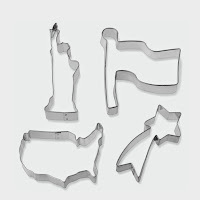 Kids will love using these classic cookie cutters to bake up sweet celebrations for the Fourth of July and other festive American holidays. Perfect for parties, the cutters come in four iconic shapes, each guaranteed to inspire creative decorating in bakers of all ages. Our American-made cutters are constructed of tin, so they're reminiscent of the antique cookie sets produced before the 1920s. 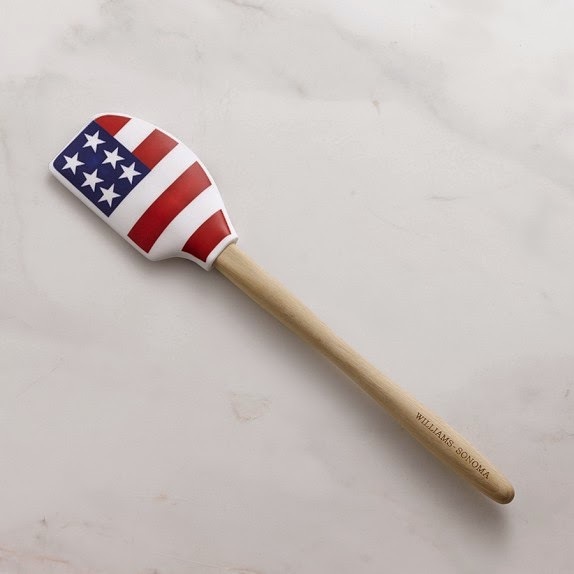 Show your spirit with a star-spangled spatula, perfect for everything from pie baking to pancake breakfasts to Fourth of July barbecues. 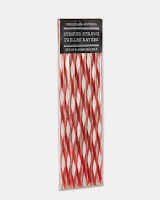 The silicone head is heatproof so you can use it for stirring sauces, too. 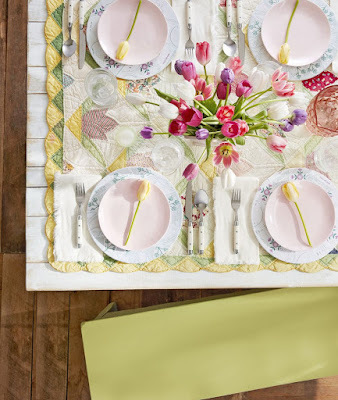 From Summer baking to Fourth of July picnics, cooking is a blast with these decorative spatulas. 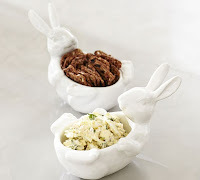 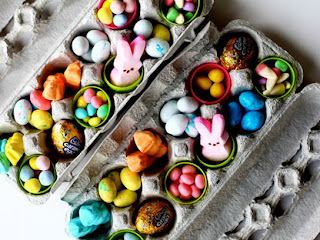 Their small size comes in handy for mixing, spreading icing and toppings, scraping out containers, and more.